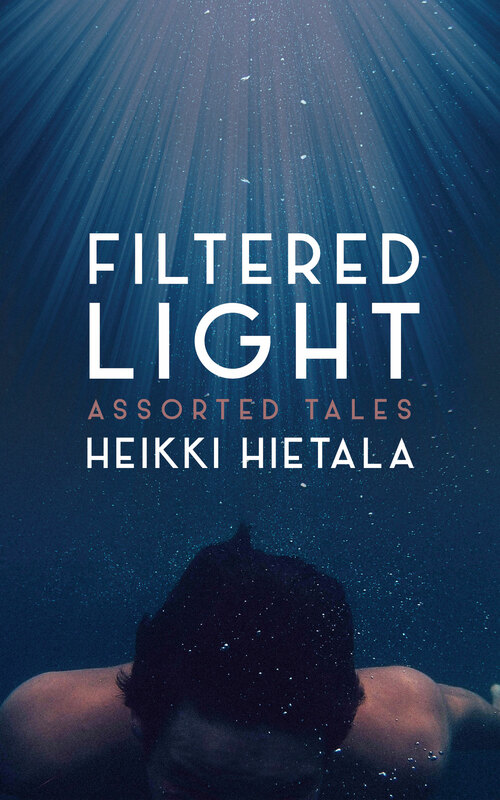 short story collection Filtered Light. This is a set of 18 stories, nine of which fall in the category of speculative fiction, and the rest are evenly spread across the genres of real life, flash fiction, historical fiction and even humor. This book was published in 2011 in the United States, then by Pfoxmoor Publishing, but after they moved into editing, it has been unavailable. Therefore I am more than happy to see it coming out anew. The cover image is based on the eponymous story, and when I saw it, I was immediately struck by how well it captures the essence of the story itself, which you can read here. When the book came out in the US, it was quite well received, and in the reviews it was said that my speculative fiction works. The stories in this genre include The Summerhouse, The Dispatchers, and The Wind in the Pipes. The curtain that separates life from death is discussed in all three: a deceased man visits his beloved summerhouse, two dispatcher souls manage the deaths of a British bomber crew over Germany, and an old country parish has a pipe organ that plays on itself, by the spirits of the dead. The theme is one of intense fascination for me, and I think I will work on it more – I have in mind a full set of short stories passing back and forth through the curtain. Let’s see if I get around to it. This is the purchase link for the paperback in the UK, and in Amazon US.